Mark and I are heading to the Amazon in February to go peacock bass fishing, and before Christmas Mark found a guy named Raymond “Dink” Alston who makes Goldrush custom rods. 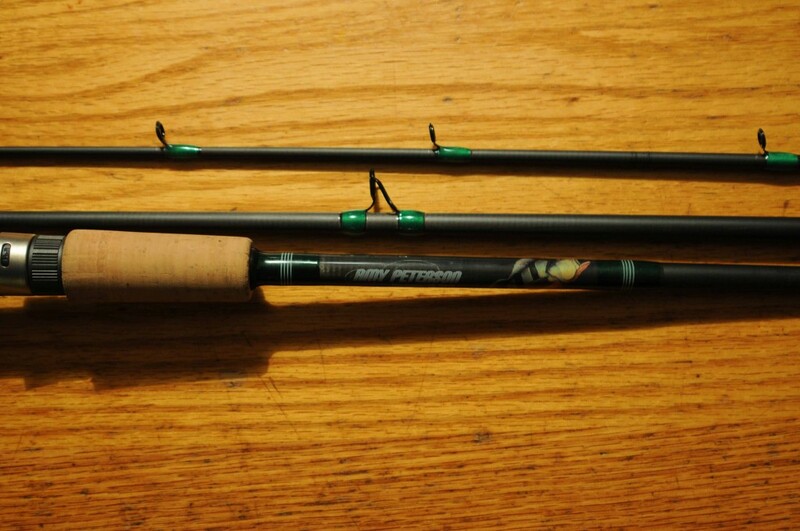 Amongst Dink’s special rods is a 6’2″ Woodchopper heavy-duty action rod that he recommends for peacock bass fishing. Per Mark’s request, Dink added a peacock bass, my name, the date, and he did the wraps in green and white. Mark also got me another special present. Two peas in a pod salt and pepper shaker. 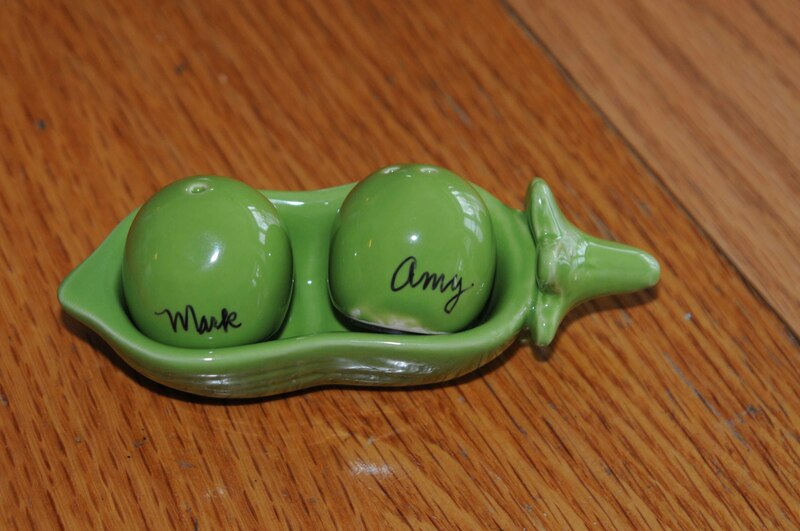 Of course, having seen the fishing rod, I thought the salt and pepper shakers were custom-painted, when in fact Mark took a Sharpie marker and wrote our names on them. But who does cute things like that? 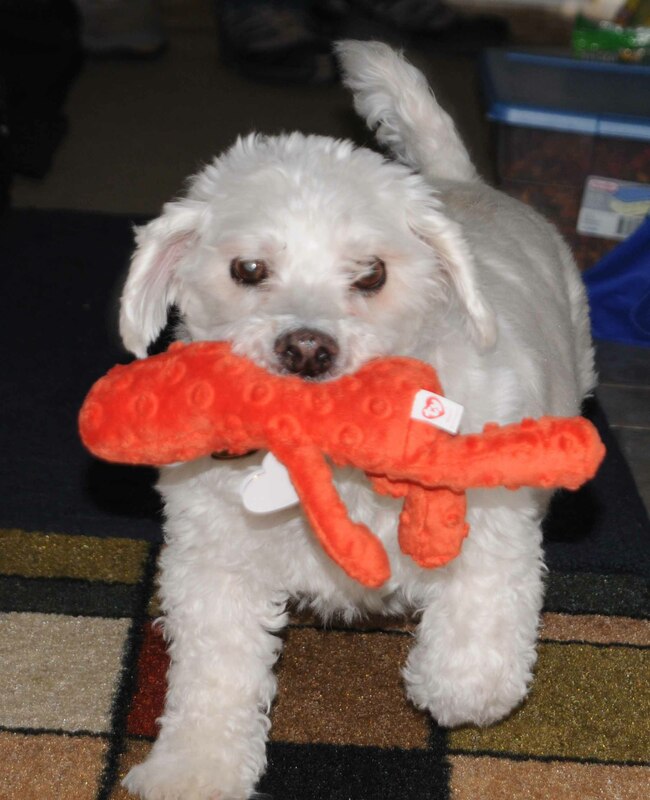 Mark also didn’t care when Dusty, our 14 1/2 year-old dog, stole his stocking topper. Dusty with Mark's stocking topper. And finally, I know Mark’s the right guy for me because he figures out how to make me laugh every holiday. Not that I laughed when I took the photo below, but I might have shortly before or after. 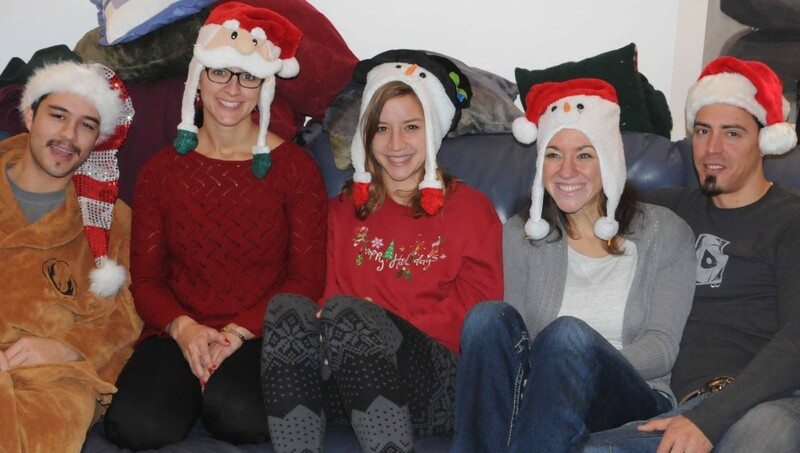 The four kids and Willi's husband Brian (far right) with their Christmas hats. So thanks, Mark, for being the right guy with the right ideas year after year.